Riot police at the first protest, December 5th, 2011. 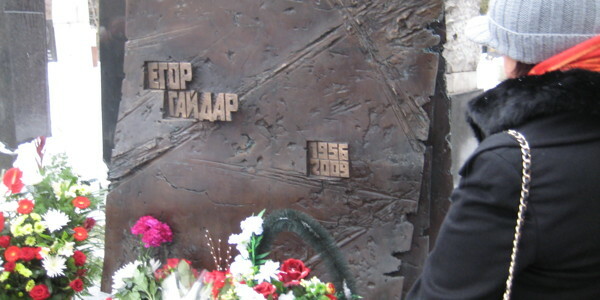 Mourners at Yegor Gaidar's grave, March 19th, 2011. "They've fucked you." 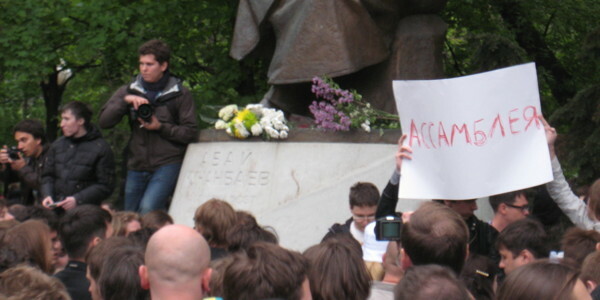 Anarchists, 1st Bolotnaya protest, 10 Dec., 2011. 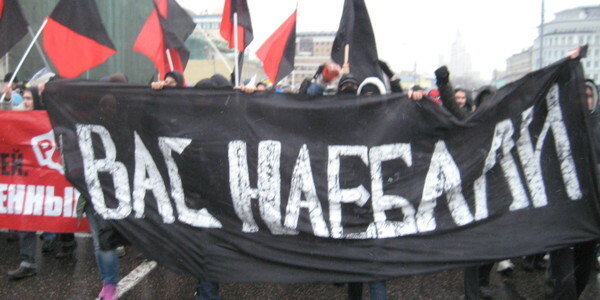 The Russian Socialist Movement (RSD) at a protest. 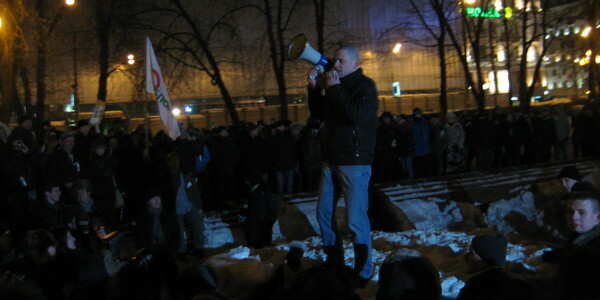 Sergei Udaltsov refuses to leave Pushkinskaya Square, March 5th, 2012. 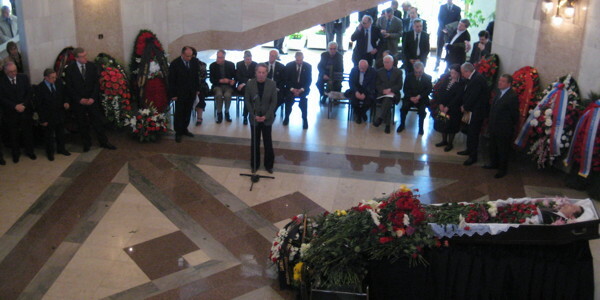 Wake for Leonid Abalkin, economist of perestroika, May 5th, 2011. 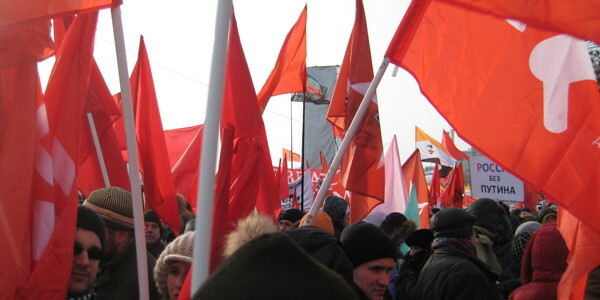 Socialists gather at Revolution Square, December 10th, 2011. General Assembly at the Occupy Abai encampment, May 2012. 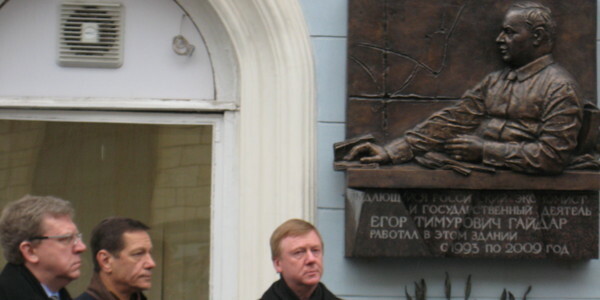 Kudrin and Chubais dedicate a plaque of Gaidar, March 19th, 2011. What is it to govern and to be governed in the contemporary situation? I am an anthropologist concerned with political rationalities and technologies of rule. In particular, I am interested in the imagination and assembly of forms of political order that could be understood as liberalisms by means of the forms of knowledge called economics. My current project is a historical ethnography of the mathematical economists of Moscow from the Soviet Union to contemporary Russia. It draws on twenty months of field research, during which I was based at the New Economic School (NES) and Central Economic Mathematical Institute (CEMI) of the Russian Academy of Sciences (pictured at right). The genealogy of Moscow economics reveals a point of emergence and elaboration for alternative liberalisms and socialisms that illuminate both the limits and fecundity of the modern political imaginary. 2016 “Dreams in Cybernetic Fugue: Cold War Technoscience, the Intelligentsia, and the Birth of Soviet Mathematical Economics,” Historical Studies in the Natural Sciences 46(5): 633–668. 2016	 “Assembling the Economic Mechanism: Soviet Economics 1937–1965 and the Technology of Socialist Government” Invited lecture at the Columbia University Science, Knowledge, and Technology Workshop, 22 February. 2015	 “Assembling the Economic Mechanism: Soviet Economics 1937–1965 and the Technology of Socialist Government” Invited lecture at the Duke University Center for the History of Political Economy, 10 April. 2014	 “Dreams in cybernetic fugue: The mathematization of Soviet economics,” Invited lecture at the Duke University Center for the History of Political Economy, 17 November. 2012	 "Fragments for a history of economics in Russia, 1958-2012," Invited lecture at the Baltic International Centre for Economical Policy Studies, 21 June. 2016	 “On the Socialist Origins of the Capitalist ‘Economy’,” 41st Annual Meeting of the Social Science History Association, 17–20 November. 2016	 “On the Socialist Origins of the Capitalist ‘Economy’,” Historicizing “the Economy,” Harvard University, 23–24 September. 2016	 “Metastases of Late Communism: Soviet Technological Futurology and the Political Economy of Stagnation,” Annual Meeting of the Society for Cultural Anthropology, 14–5 May. 2015	 "Forecasting a Future That Would Never Come: The Horizon of Soviet Technological Futurology," 114th Annual Meeting of the American Anthropological Association, 18-22 November. 2015	 "The Long Road to Asymptopia: The Assembly of Mathematical Economics and the Rebirth of Economic Veridiction in the Soviet Union," 40th Annual Meeting of the Social Science History Association, 12-15 November. 2015	 “In All But Name: The Reconstruction of Economic Reason in the Post-War Soviet Economy,” Annual Meeting of the History of Economics Society, 26-29 June. 2015	 “Planning the End of Planning: Late Soviet Theories of “the Administrative Market” and the Formation of Yeltsin’s First Government,” HISRECO: History of Recent Economics, University of Cergy-Pontoise, 29-30 May. 2015	 “Towards an Anthropology of Formalisms: Semiotic Technologies for Making 'the Economy',” 2nd Annual Semiotic Anthropology Conference, at the University of Pennsylvania, 6-7 May. 2014	 "The Fractured Field: Power and Economic Expertise in the Russian Government across Two Decades of Crisis," 39th Annual Meeting of the Social Science History Association, 6-9 November. 2014	 "Post-Soviet Russian liberalism in search of its futures past," 21st Annual Meeting of the Council for European Studies, 14-16 March. 2014 "Towards computopia: Mathematicians, Cold War science, and the (re)birth of 'economic cybernetics' in the Soviet Union," Mathematical Superpowers: The Politics of Universality in a Divided World, at New York University, 27-28 February. 2013	 "First contact: Soviet and American economists at the beginning of the end of the Soviet economy," 38th Annual Meeting of the Social Science History Association, 21-4 November. 2012	 "Descent from Snake Mountain: On the contexts and content of late Soviet economics," 44th Annual Convention of the Association for Slavic, East European and Eurasian Studies, 15-18 November. 2012	 "Political economy in the think tank," 16th Annual Conference of the European Society for the History of Economic Thought, 17-19 May. 2014	 "Figuring Expert and Everyday Economies: Representations/Interventions," 113th Annual Meeting of the American Anthropological Association, sponsored by the Society for Economic Anthropology, 3-7 December. 2013	 "Technopolitical Futures," 112th Annual Meeting of the American Anthropological Association, sponsored by the Association for Political and Legal Anthropology, 20-24 November. 2015	 "Dreams in Cybernetic Fugue: The Scientific-Technical Intelligentsia, the Thaw, and Mathematical Economics," Slavic Studies Kruzhok, University of Pennsylvania, University of Pennsylvania, 23 March. 2013	 "An impossible science? How hydroelectric engineers, cyberneticists, Orthodox mystics, transport planners, rocket scientists, Stalin, etc., assembled Soviet economics, again," Department of Anthropology, University of Pennsylvania, September. All code written by Adam Leeds is freely available to be re-used. The jssor slider is open source. All content is copyright Adam Leeds, and reproduction, syndication, or quotation without attribution is forbidden.